Believe it or not, there’s very little known about fluid flows. However, understanding this phenomena is so important that if you can solve the equations that describe what happens when smoke comes off of a cigarette or when cream is stirred into a cup of coffee, you can win a million dollars. The Navier-Stokes equations are among the Clay Mathematics Institute Millennium Prize problems, seven problems judged to be among the most important open questions in mathematics. Solving one of these problems brings with it a million-dollar prize. The Navier-Stokes equations are the equivalent for fluids of Newton’s second law of motion. Newton’s second law describes how objects change speed when a force is applied to them. Similarly, the Navier-Stokes equations are a set of differential equations that describe how the speed of a fluid’s flow will change based on forces coming from within the fluid like pressure and viscosity and on any external forces, like gravity, acting on the fluid. The equations are thus at the heart of describing how fluids work. They are the main mathematical model for air moving over an aeroplane’s wing, water flowing through a pipe, or smoke curling off a fire. Differential equations describe how a quantity changes over time and varies throughout space. There are many natural situations, like the fluid flows modelled by the Navier-Stokes equations, in which it is easy to mathematically describe the rate at which some quantity is changing, but in which a description of the quantity itself is not immediately apparent. Solving a differential equation means starting with the equation, which describes how the quantity being modeled changes across time and space, and some initial conditions for the state of the system at the beginning of the simulation, and coming up with a formula for the quantity at any time and place. Many physical systems can be described with relatively mathematically simple differential equations, like guitar strings vibrating or heat radiating from an oven. In these cases, solutions to the differential equation models are known. However, for some more complicated differential equations, like the Navier-Stokes equations, mathematicians don’t know how to find solutions generally. Even worse, it is not known whether solutions to the Navier-Stokes equations exist for all possible starting conditions. It may not be possible to come up with initial conditions modelling some starting state of a fluid that, after evolving for some finite period of time following the equations, ends up “blowing up”: getting to a state in which at some point in space, the fluid moves faster and faster in such a way that its speed actually becomes infinite. This is the million-dollar problem: either find a method for solving the equations for any set of starting conditions (and thus model exactly any mathematically idealised fluid), or construct some counterexample starting condition in which a fluid’s behaviour eventually becomes infinitely turbulent. There are both physical and mathematical reasons why solving the Navier-Stokes equations is hard enough to deserve a million dollars. 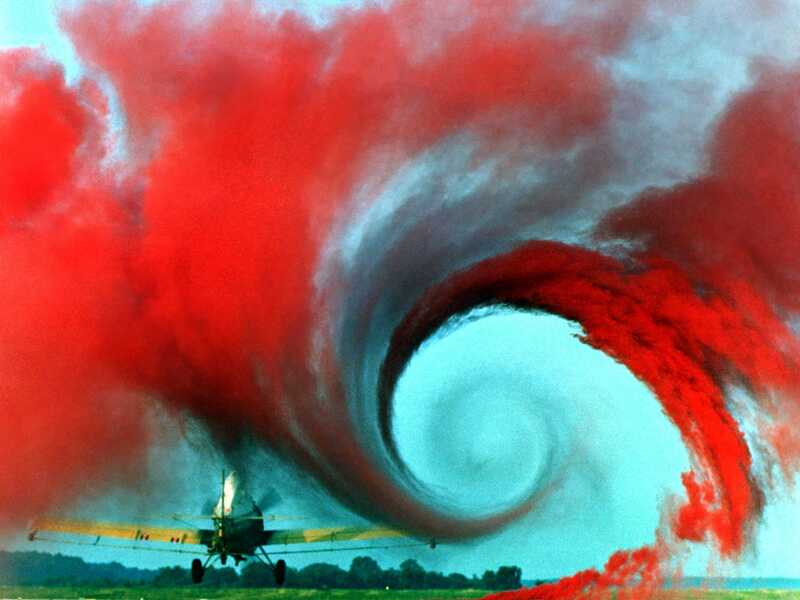 Physically, the problem with fluid flows is that they can behave chaotically and turbulently. 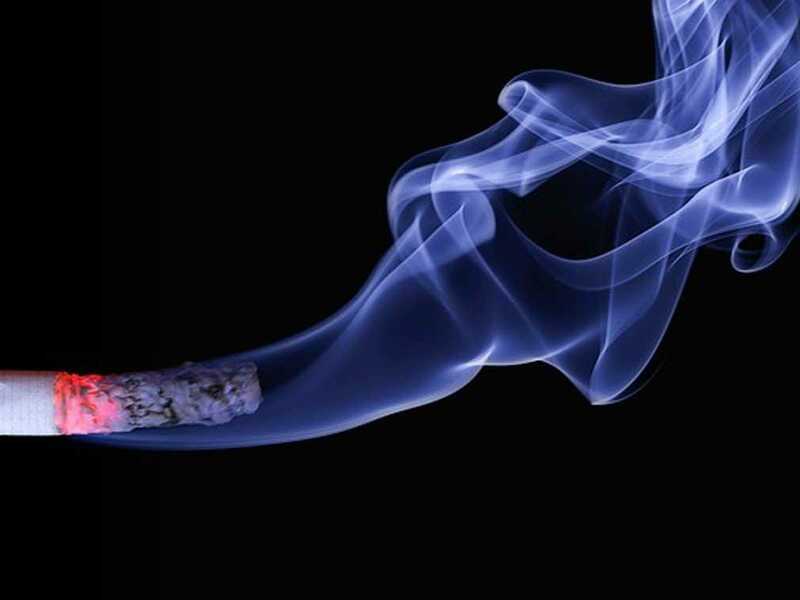 This can be seen in smoke coming off a cigarette or a candle — while the smoke may initially rise smoothly and in a straight line, at a certain point it begins to curl in an intricate, complicated, and unpredictable way. Modelling this kind of chaotic behaviour is extremely difficult. UCLA mathematician and 2006 Fields Medal winner Terence Tao wrote an article on his blog about the mathematical reasons solving the Navier-Stokes equations is so hard. Solving differential equations similar to Navier-Stokes frequently involves finding some large-scale quantitative property of the system being modelled that can be controlled and used to limit unpredictable behaviour within the system. Unfortunately, in the fluid dynamics situations described by the Navier-Stokes equations, there do not appear to be any large-scale properties that can be used to control small-scale chaotic behaviour. The only quantities of the system that we have control over are the overall kinetic energy of the moving fluid, and the amount of energy lost to internal friction in the fluid. The problem is that this doesn’t give us any insight into how that energy is distributed throughout the fluid. If the Navier-Stokes equations are going to be solved, then, either some previously unnoticed quantity that can control small-scale chaotic behaviour needs to be discovered, or a radically new mathematical approach to solving differential equations needs to be invented. It may be the case that, instead of finding a general way of solving the equations, it would be possible to come up with some set of initial conditions for a fluid that could lead to the system’s energy becoming increasingly concentrated into a smaller and smaller space over time, until the equations would indicate that the energy at a particular point would be infinite. This counterexample would show that, at least in some (probably very strange) cases, the equations can’t be solved. In a more recent blog post and paper preprint, Tao constructs a set of differential equations that behave like an “averaged” version of Navier-Stokes and devises a clever model of a very abstract “fluid machine,” vaguely analogous to electronic computers built out of electronic components. Tao’s “machine” is designed to increasingly quickly make smaller and smaller copies of itself, until the time between reproductions is essentially zero, causing the kind of breakdown of the system that, if shown for the actual Navier-Stokes equations, would provide the negative answer to the problem, showing that in some cases the equations are unsolvable. It is worth noting that Tao’s system is a complete mathematical abstraction: Any “machine” of this type would have to be made out of a mathematically ideal fluid. Actual physical fluids are made of atoms and molecules, and it would probably not be possible to build such a thing in the real world. However, Tao’s result has important implications for the Navier-Stokes problem. His “averaged” version of the equations has many similarities to the actual equations. Most importantly, the “averaged” equations have basically the same large-scale energy constraint as the actual equations. Tao notes that this means that it won’t be possible to find a solution to Navier-Stokes just using this large-scale structure and that any solution would need to take advantage of other fine-scale aspects of the equations.